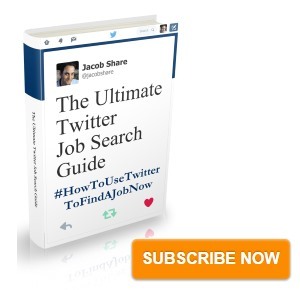 [POLL RESULTS AND ANALYSIS] Which Social Media Network Are You Using MOST in Your Job Search? These results are nothing short of a wakeup call for many job seekers. Which social media network are you using MOST in your job search? From May 2009 to October 2009, LinkedIn grew by 10 million users for a total over over 50 million, only half of whom are in the US. Massively popular and geared towards professionals, LinkedIn is terrific as a virtual resume and networking platform (and that's just in its most basic form). There are even recruiters who work from home, spending all their time sourcing candidates just from LinkedIn. True to this poll result, if you're using any social network for job search, this is the one you should be using. For LinkedIn success, check out my LinkedIn archives or if you'd like something more structured, my friend Jason Alba penned a terrific book called I'm on Linked In, Now What??? Now THIS is a very exciting result. If you're not familiar with that expression, think of it this way: you're hungry (job seeking) and the nearest tree (social media, here) has easy to reach, just need to pick up your hand and grab it, low-hanging fruit (job opportunities). If you're a job seeker who's not using social media on your job search, you're missing out on free-to-use techniques that can drastically shorten your job search, many of which are taught here on JobMob and other job search blogs. As a teacher, this result also excites me because it means I still have a lot of work to do. A followup question would be- if you're not using social media on your job search, is it because you're just not using social media at all? Even taking into account my last question- if you're reading this, I'm willing to bet that you're on Facebook. Although Facebook isn't specifically aimed at work, just the fact that so many of your friends, family and business contacts are on it means that it's a tempting place for that first “I'm officially looking for a new job, can you help?” message. As more companies start using Facebook too, such as with Pages like JobMob's or Google's, more people will start taking their Facebook job search more seriously. 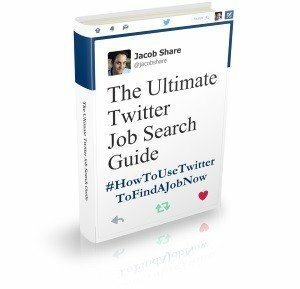 Unsimilarly, if you're likely on Facebook, there's a good chance you're not yet on Twitter (although I do know that my Beginner’s Guide To Finding A Job With Twitter has created many converts!). There are still many people out there who don't get Twitter, or who still can't justify a little time on it every day. Which is a shame, because if I were to look for a job today, Twitter is the social network that I would be most using to find a job. And I'm not just saying that because I wrote a book about it (which you can have for free). As long as Twitter is being used by a good chunk of the people in your industry – probably the case by now – Twitter is the quickest way to build your personal brand while helping and interacting with those people and others around you. People who voted this way might be from countries where other social networks are popular, such as MySpace, Bebo or Orkut, or where local social networks have hit critical mass like Netlog in Europe. However, there are also many small, profession-specific social networks as part of Ning (for example) that are worth investing time in if they're favorites in your industry. If you liked this article, you'll enjoy [POLL RESULTS AND ANALYSIS] How Much Time Do You Spend Job Searching Every Day?. Subscribe to JobMob via RSS or email and follow me on Twitter for more refreshing stats about what's going on in job search right now. What’s interesting is that some people still haven’t heard of LinkedIn. My husband is taking some classes, and one of the discussions was on job searching. They were then asked to give their tips for job hunting. When my husband mentioned LinkedIn, there were some comments along the lines of, “That sounds interesting — what is it?” He was shocked. I completely agree with you about Twitter. It’s an amazing resource! .-= Melissa´s last blog article was A New Home (and a Giveaway!) =-. Melissa- did Rodney notice anything in common among the people who didn’t know what LinkedIn was? Previous Post[POLL] Which Social Media Network Are You Using MOST (or not) in Your Job Search?